Dr. Harald Scherm has determined the mummy berry potential for germination and development of the apothecia is here. 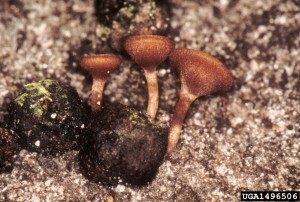 Germination is likely to have started and apothecia are likely to be produced in the field. It doesn’t necessarily say that spores are already being dispersed, but the potential is definitely there. All southern Georgia blueberries that are showing either green tip or early bloom developmental stages are at high risk for mummy berry infection at this time and going forward. This is especially true as temperatures warm up next week and we have rainfall. Mummy berry is very well tied to the initiation of budbreak and bloom, especially in rabbiteyes. With rabbiteye green tip and/or bloom development likely starting next week, producers need to be ready to spray mummy berry active fungicides. If the leaves (green tip) trigger the initial application then producers really have to make sure they are applying before emerging leaves are 1/6th inch in length. 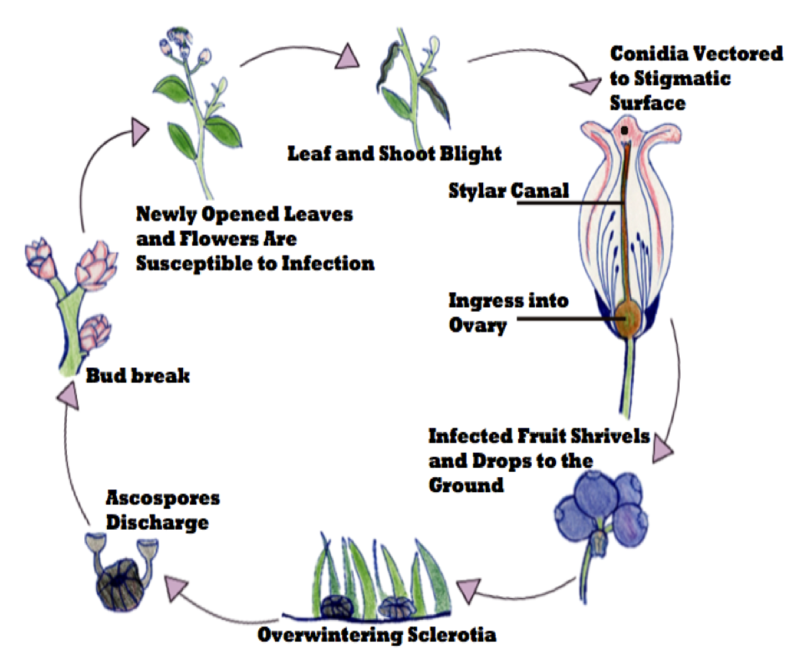 Leaves do not require cold damage for infection to occur, and any exposed green tissue can be infected. Fungicide applications at 7-day intervals have worked well over the years. For resistance management, we recommend that the first application be Pristine (unless Exobasidium leaf and fruit spot has been confirmed for the location), followed by application of DMI fungicides (Indar, Orbit, Tilt, Bumper, Quash, etc.) + Captan for the next two applications. Should you use CaptEvate instead of Captan? In some cases CaptEvate may be a better option in place of Captan. 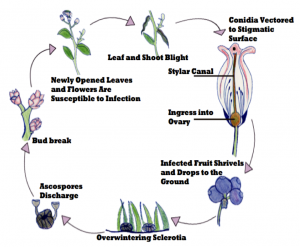 But, Elevate has no or little activity on Exobasidium and if used previously, might not be active in Botrytis due to resistance. Growers need to use the high rate of Captan due to Exobasodium. Check the amount of Captan in Captevate (check labels; if comparable then it will cover Botrytis and Exobasidium anyway, even if the Elevate component is not effective). For rabbiteye, Captan has generally been sufficient for Botrytis, we rarely if ever see a major Botrytis issue on rabbiteye — always a first time though. Additional applications may be needed based on bloom progression. Alternate active fungicide classes as much as possible.